Congrats to CPA and CCS on semi final wins. Should be a great game tomorrow. Much thanks.... I expect to see you there tomorrow. It was exciting watching the CPA game today. I hate the final is on a Friday night... Having to split up the family on who is watching which game tomorrow evening. It's poor to have a girls STATE CHAMPIONSHIP game in any sport on a football Friday night. Whether intended or not, it really sends the wrong message about girls athletics. • (2) have the final not be on a football Friday night. There is enough time to have four finals in the stadium on a single day as the last final on Saturday is at 4:30, leaving enough time for a fourth match at 7:00. For the fifth final, one of the five classes would play their final on one of the other 16 fields at the same complex on a rotating basis. 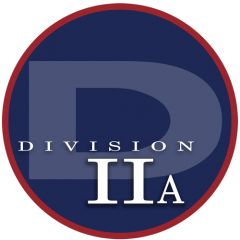 DII-A would be more than willing to be the first in the five year rotation to play on the auxiliary field. Totally agree with JFW, by the time your players are in HS they've played club with other players in and out of their areas. I'm a D1-A SIgnal Moutain fan but know families and players from many teams. I would definitely watch GPS, CCS and Signal games if they were all held on Sat (and Baylor and East Ham if they were still in it.). Heck, up the ticket for Sat to $15 or $20 and your concessions income would soar because you would have a captive audience. I think the Knox and Nash fans would feel the same way. Friday night games hurt your student attendance and cost you $. You might have to move some 11v11 rec games to Sunday and tell some select teams to play elsewhere, but it's really only 5 games!?! G’s best CPA team yet is the big favorite here. It is a team with no positions that are weak really. Just a solid group of D1 travel players. Only saw CCS once in their game vs USJ but I dont know if CCS can score with CPA? Very technical and well coached team. Congrats to both teams they are deserving. 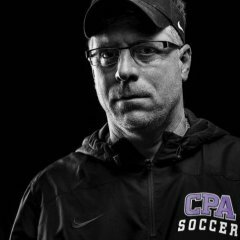 After 120 minutes of scoreless soccer CPA wins state championship 3-2 penalty kicks. Congrats to both teams. Pretty big group of CPA supporters watching an endzone telecast during the football game, FRA fans confused when Sylvie scored and a big applause broke out with nothing happening on the football field. Strong sophomore class predicts well for the future.. Awful TSSAA timing, they gotta know this sucked for the girls. CCS is one quality program and Coach Sneller is a class act. We both talked at the end of the game that we hate that a team has to win or lose by a PK shoot out. It was an incredible game and both teams were "empty". It really could have gone either way at any time in the match. The field was TERRIBLE. I can't IMAGINE what the final game of today is going to be like.